Our Truck Packages carry the latest production equipment and lighting, this package will be no different. We exceed the Industry standard when it comes to the equipment we pack in our Truck Packages. 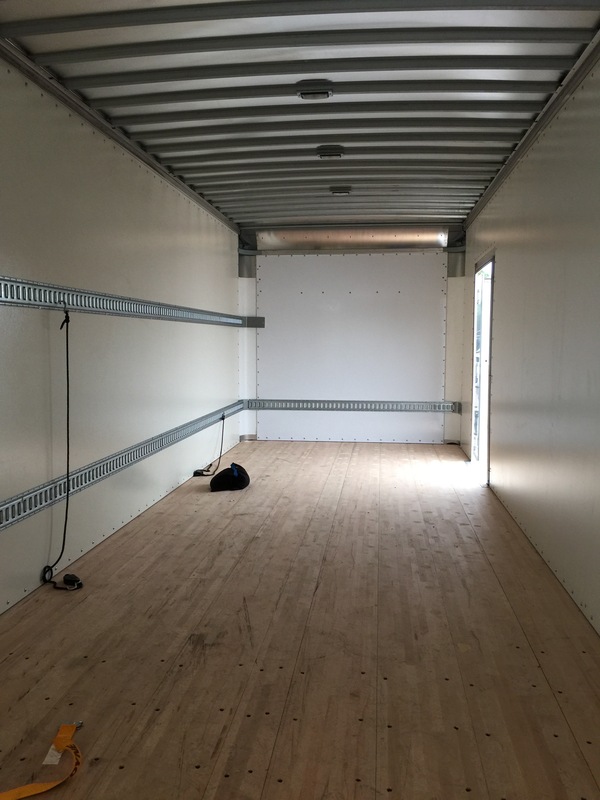 Our new Truck is 26 feet long and features a 98x88 tilt Tail Gate for quick unloading and loading. . It may look empty now, but it will be on the road soon. 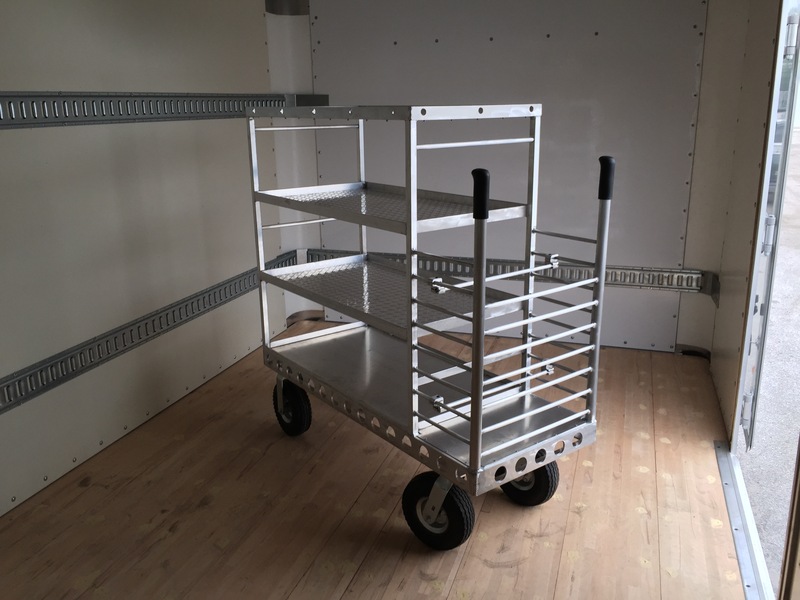 Our new Truck Package will be equipment with custom fabricated carts. This cart is our new Stand Cart, designed to carry 16 Combo Stands and 16 Baby Stands. 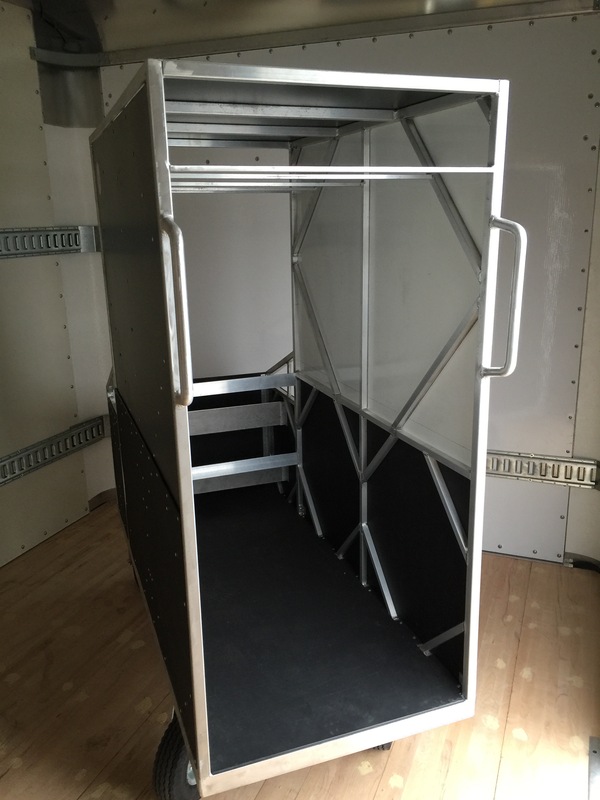 It is easily moved by one person, and designed to get off the Truck and onto the set. This is our new custom fabricated distro cart. 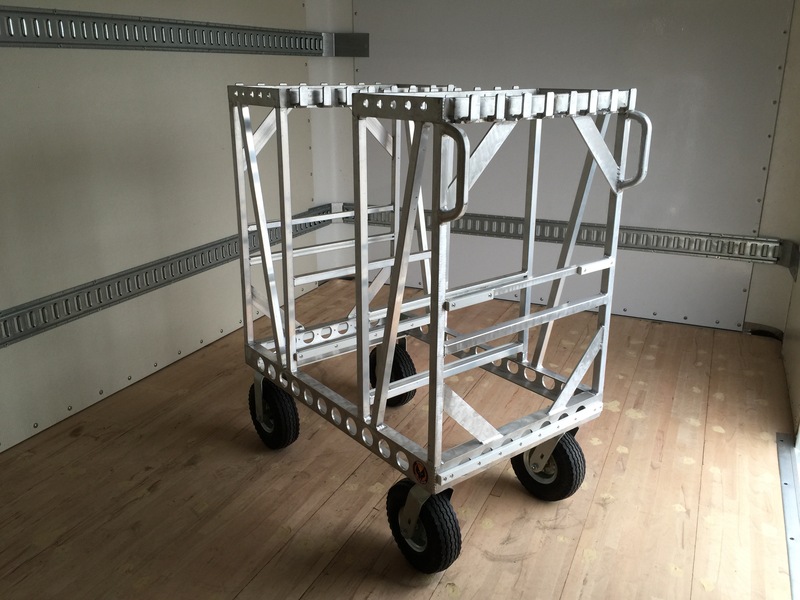 This cart is designed for one man operation, and can easily brought to the set or thru doorways. Our new flag cart carries 4x4 flags, along with 2x3 flags. It is also designed to go thru doorways and easy moved by one person.